The latest research on parasitology. The Companion Animal Parasite Council (CAPC) has released its annual parasite forecast, and the outlook for 2018 is not optimistic. 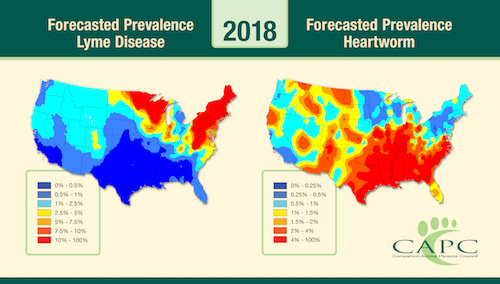 Heartworm disease will continue to “aggressively spread” across the United States, the groups says, and Lyme disease prevalence will increase in areas east of the Rockies. Heartworm infections are expected to be above average nationwide. Prevalence in the lower Mississippi River region will be much higher than normal. Northern states, from Washington to Vermont, may experience a rise in heartworm infections. Although Lyme disease occurs more commonly in areas with dense tick populations—New England, the East Coast, and the upper Midwest and West Coast states—CAPC predicts that non-endemic areas will start to see a rise in Lyme disease cases, including in North Dakota, South Dakota, Iowa, Missouri, southern Illinois, Ohio, Kentucky, Tennessee, North Carolina, western Pennsylvania, eastern Ohio, West Virginia, and the Appalachian region in Virginia. A less active year is predicted for areas from Washington, DC, to Philadelphia, Pennsylvania, and eastward, as well as the Boston/ Cape Cod, Massachusetts region. CAPC also notes 2 other parasitic diseases that may cause trouble. Anaplasmosis prevalence is forecasted to be average for much of the United States, except for Minnesota, which is expected to have an active year. The Wisconsin/Minnesota border area and the Boston/Cape Cod region should see less activity than normal. Ehrlichiosis prevalence is expected to be higher than normal in the southern Virginia and northern North Carolina regions, with normal prevalence elsewhere. UK researchers recently performed a nationwide survey to determine the prevalence of several pathogens in ticks collected from domestic cats. Although most (93.5%) of the ticks were pathogen-free, several tickborne pathogens were widely distributed throughout the country. A total of 540 ticks were collected during examination at 278 veterinary hospitals in 2016, most removed from cats in England. Before processing, each tick was spiked with an internal amplification control to monitor successful DNA extraction and rule out polymerase chain reaction (PCR) inhibition. The researchers also used primers for feline 28S rDNA to serve as an endogenous positive control. 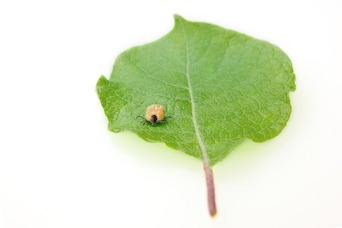 Several conventional and quantitative PCR assays for tickborne pathogens were performed. Specific qualitative PCR assays targeted Anaplasma phagocytophilum; Bartonella spp (positive samples were also screened for B henselae); and 3 hemoplasma species (Mycoplasma hemofelis, “Candidatus Mycoplasma hemominutum,” and “Candidatus Mycoplasma turicensis”). Hepatozoon spp were detected using conventional PCR. DNA sequencing was performed to identify pathogens in positive samples to the species level. 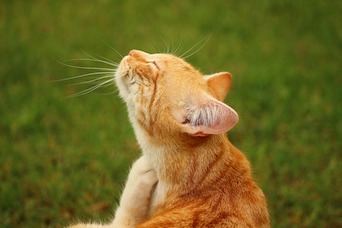 The internal amplification control successfully amplified in all 540 samples, while 475 (88%) samples detected feline 28S rDNA, suggesting that most ticks had a blood meal prior to collection. Nineteen tick samples (3.5%) were positive for a single pathogen: 5 (0.9%) with A phagocytophilum, 7 (1.3%) with Bartonella spp, 5 (0.9%) with hemoplasma DNA, and 2 (0.4%) with Hepatozoon spp. All pathogens were distributed widely throughout the United Kingdom except for Hepatozoon spp, which were detected only in Wales and southeastern England. In a previous study with the same 540 tick samples, investigators determined that 6 (1.1%) samples contained Babesia spp and 10 (1.9%) contained Borrelia burgdorferi. Florent Duplan F, Davies S, Filler S, et al. Anaplasma phagocytophilum, Bartonella spp., haemoplasma species and Hepatozoon spp. in ticks infesting cats: a large-scale survey. Parasites Vectors. 2018;11(1):201. doi: 10.1186/s13071-018-2789-5. Results of a recent study showed that canine seroprevalence for antibodies to Borrelia burgdorferi accurately predicted the risk of Lyme disease infection in humans in metropolitan New York City, including 30 counties and about 20 million people. The investigators used categorical analysis to analyze multiple factors, including IDEXX SNAP3Dx and SNAP4Dx test results, population density, percent forested area, and CDC-reported human Lyme disease cases. Regression analysis was performed for detailed variables, such as precipitation, fall temperatures and vegetation, and level of urbanization in each county. Finally, the investigators performed a backward-stepwise regression analysis to determine whether the variables could accurately predict the prevalence of Lyme disease in dogs or humans. A total of 234,633 IDEXX SNAP test results from 2001 to 2010 were analyzed. Positive tests for B burgdorferi ranged from 1.2% to 27.3% by county, while human Lyme disease cases ranged from 0.5 to 438.7 cases per 100,000 people by county. The percentage of positive canine tests was significantly higher in counties with low population density (18%) than in those with moderate (8%) or high (5%) populations. Positive tests were also more likely in counties with high amounts of forested area (21%) than in those with medium (15%) or low (6%) forestation. Similarly, human Lyme disease prevalence was significantly higher in counties with low and medium population densities than in counties with high population densities (113, 10, and 3 cases per 100,000 people, respectively). Also, more cases were reported in counties with high or medium forestation than in counties with low forestation (165, 66, and 11 per 100,000 people, respectively). Human and canine cases correlated strongly with each other on both categorical and regression analyses. Regression analysis also revealed that several environmental factors known to influence tick populations, including forest cover and November temperatures, significantly correlated with positive canine SNAP tests and human Lyme disease cases. Backward-stepwise regression revealed 3 factors that could be used to accurately predict the percentage of positive canine tests: human case reports and population density, maximum temperature and precipitation during November, and deciduous or mixed forest areas. Likewise, the percentage of positive canine tests can also accurately predict the prevalence of human Lyme disease. The authors cautioned that these results may not apply to other regions of the United States, however, given the unique, endemic nature of Lyme disease in the Northeast. Herrin B, Beall MJ, Feng X, Papes M, Little SE. Canine and human infection with Borrelia burgdorferi in the New York City metropolitan area. Parasites Vectors. 2018;11(1):187. doi: 10.1186/s13071-018-2774-z.